People who could save British manufacturing industry are meeting in Cambridge and Oxford in this month. And they have ironically taken the purgorative dinosaur label and twisted it into a battling, positive term by adopting the ferocious raptor tag. Entrepreneurs and inventors from a new industrial sector called High Value Manufacturing will be outlining the potential of their businesses to a government minister and regional development agencies, and they will be calling for more public support. “We have calculated that these businesses could be half of the UK's manufacturing base within 20 years,” said Justin Hayward, managing director of Cambridge Investment Research. Examples of HVM products include super-efficient solar cells, the new BMW Mini. Dr Hayward’s company has held HVM conferences in Cambridge the last three years. Now the concept is being extended to Oxford to cover South East England, with HVM conferences planned for London and Scotland soon. All are places with high proportions of new companies higher up the 'value-added chain' than traditional manufacturers and are less likely to be driven out of business by low-cost competition, but take longer than conventional companies to become profitable. 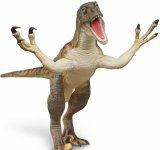 The group sees traditional UK industry as a large, slow dinosaur while their companies are raptors - smaller, smarter, faster dinosaurs that communicate with each other. But they too need government support if they are not to follow the larger dinosaur into extinction. “Traditional UK manufacturing is shrinking. From 16 per cent GDP today, it will be down to 10 per cent by 2025. By the same year HVM alone could be 10 per cent of the economy from 2.4 per cent per cent today,” says Dr Hayward. 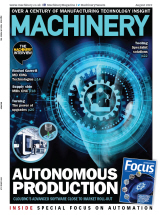 The HVM bosses are calling on government for a wide range of help, from better technology education through pilot production facilities to tax incentives rather than grants.